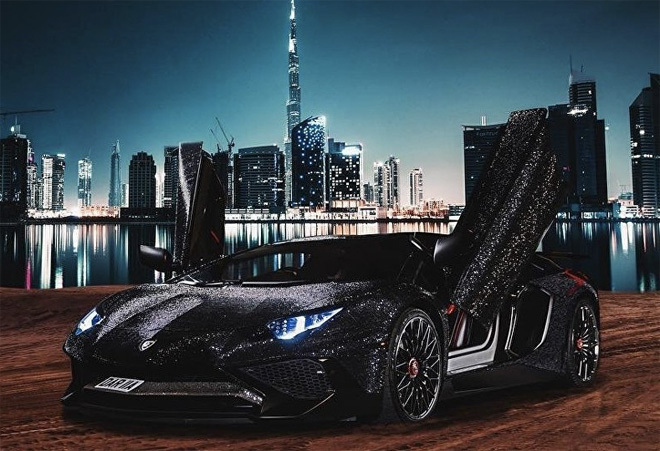 Moldova-born Instagram model Daria Radionova has covered her brand new Lamborghini Aventador SV with 2 million Swarovski crystals making a statement for a new genre of automotive jewellery. 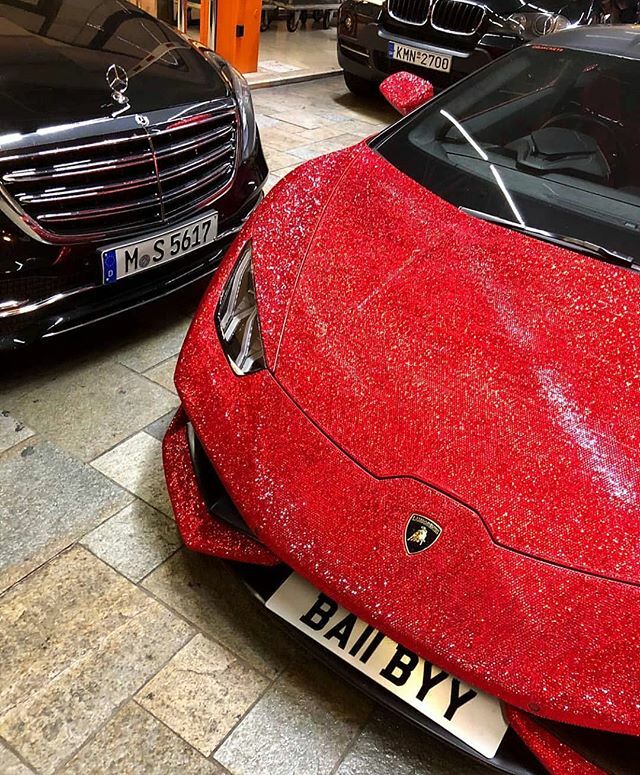 Radionova, a London based entrepreneur has previously bejewelled her previous £150,000 Lamborghini, a Huracan, with 1.5 million Swarovski crystals creation from Vinceri, a UK based luxury car customiser and specialist in Swarovski Crystal art & embellishment. For Ms. Radionova’s latest Lamborghini Aventador SV, she worked with Cars in Cloaks in London but also flew in jewellers from Russia to oversee design and implementation. It is not known how much the 24 year old Radionova spent on vehicular embellishment but her Lamborghini Aventador SV would have cost $495,000 and while dressing the car from head to toe in Swarovski is not going to be cheap, it would do little to raise the resale value of her ride and not to mention, make the naturally aspirated 6.5-litre V12 super car a little bit more dangerous when it comes to flying debris from assorted impacts. The model’s Lamborghini Aventador is the SV or “Superveloce” edition. A production run of 12 supercars, the Superveloce was designed as the sportiest Lamborghini ever, thanks to its greatly improved naturally aspirated V12 engine and combined with engineering solutions geared to extreme lightness, including new innovative technological features, such as the magnetorheological push-rod suspension and the Lamborghini Dynamic Steering system. 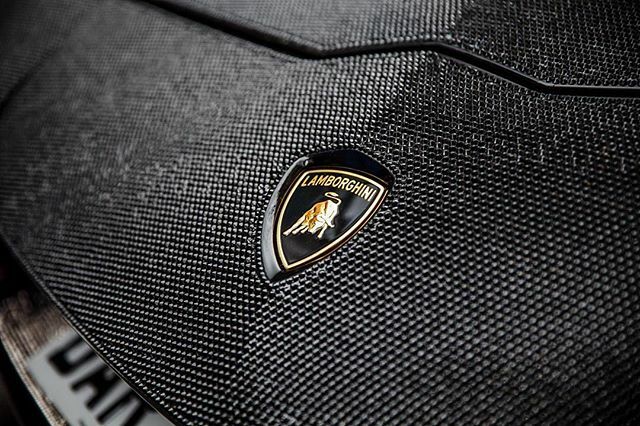 In essence, the 2016 supercar is the “fastest and most exciting Lamborghini of all time”. 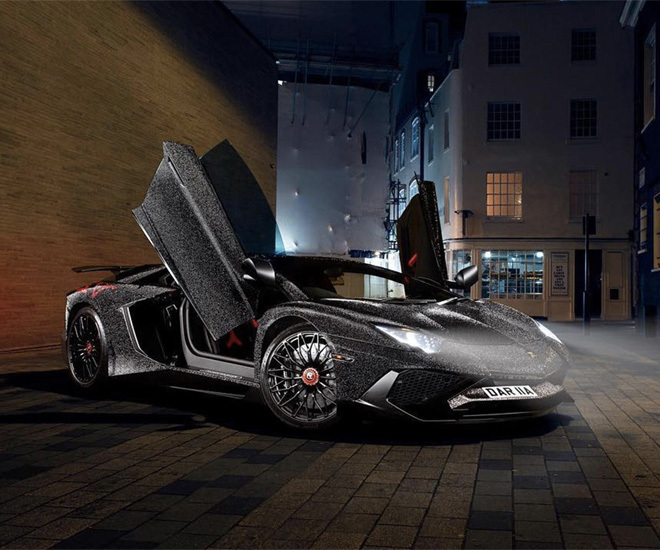 The jewel encrusted Lamborghini Aventador SV was revealed in London’s luxury area, Knightsbridge to great social media acclaim, especially on instagram where Radionova functions as “Instagram model” and owner of a fledgling clothing line – DR by Daria Radionova. The bejewelled Lamborghini Aventador SV took over 700 hours of work, spending two months in the shop and it is not Radionova’s first jewel drenched automobile. 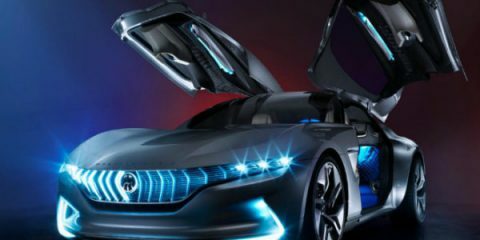 Radionova had previously dressed up her Lamborghini Huracan and Mercedes CLS. This Lamborghini is but the latest in a growing genre of Automotive Jewellery, a trend which began in the early 2000s. Images from Ms. Radionov’s Instagram. Follow her here. Radionova’s previously bejewelled Lamborghini with custom registration plates.